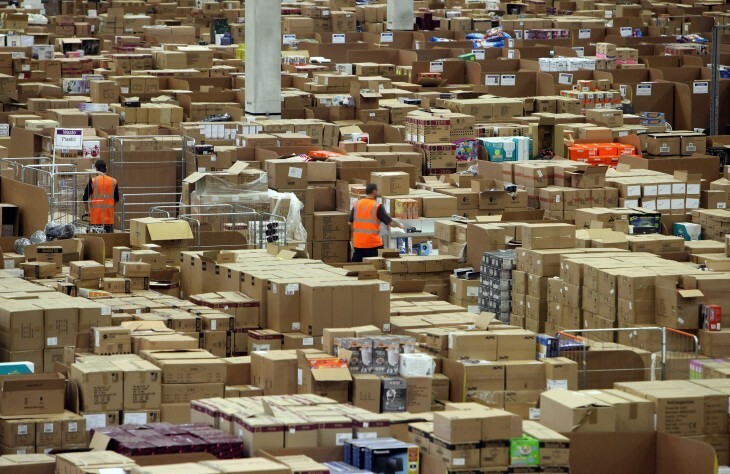 The holiday shopping season is winding down, but how did retailers do this year? Market research firm comScore analyzed the performance of online shopping in the US and found that it failed to meet expectations. 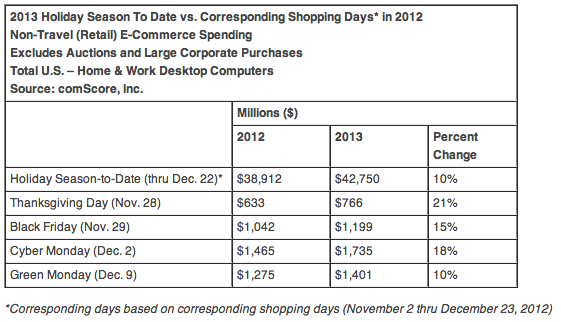 It revealed today that in the 2013 holiday season, customers spent $42.75 billion from Black Friday through December 22, a 10 percent increase from the $38.91 billion spent in 2012.
comScore blamed the shortened holiday calendar as the reason for the small increase, but didn’t specify exactly what its expectations were, only to say that it “fell short”. Its chairman Gian Fulgoni did say that softer sales were not expected along with zero billion dollar spending days — last year had 10 days where more than $10 billion was spent. Amid all of that spending, what were the product categories where most of the money went? The firm says that video game consoles and accessories took top prize, most likely spurred by the release of Microsoft and Sony’s latest devices, the Xbox One and the Playstation 4, respectively. Other products that appealed to consumers were in apparel and accessories (naturally), consumer electronics, computer hardware, and home & garden. This is the latest unfortunate event for the e-commerce space, especially in the face of embarrassing mishaps on the part of UPS and FedEx when packages couldn’t be delivered by Christmas Day, infuriating many customers and families.